Commercial time-sharing and selling CPU seconds was a feature marketed by manufacturers of large computers as a way to offset purchase costs. The concept evaporated with the arrival of unlimited use microcomputers. Ironically, Gates and Allen used time-sharing in its destruction. They started porting Altair BASIC using free CPU time on a government owned computer at Harvard. Once discovered, they finished it using $40,000 of CPU time purchased on a school district computer. Prior to the microcomputer there was no software piracy. Larger computer buyers either bought programs from the computer manufacture, or wrote custom programs themselves. Sharing programs was not simply the norm within a computer system, it was the only alternative. Student’s didn’t sell to students. Employees didn’t sell to employees. Individual programs simply had no market value. In 1976 the U.S. re-wrote its entire copyright law. The new law didn’t even mention computer programs being subject to copyright protection. It wasn’t until 1978 that a special committee decided computer programs were a type of “literary work”. Bill Gates didn’t invent BASIC. It was created in 1964 by a couple of Dartmouth professors who wanted an easy to use (and teach) programming language. They designed BASIC, made the first version and gave it away freely. Many people took copies and re-implemented it for new computers. That was the point. The authors didn’t ask for credit nor require permission or payment. 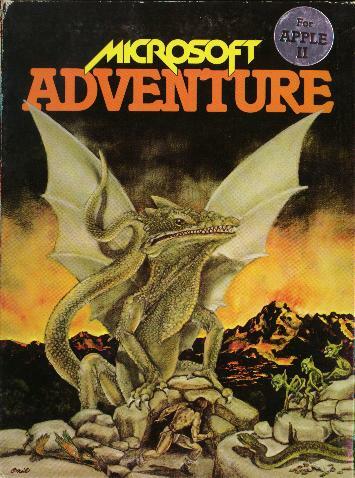 Microsoft didn’t author “Adventure” either. It was written by Will Crowther in 1976 and then, with permission, extended by Don Woods in 1977. Neither of them claimed copyright. ADVENT’s source was passed around freely on university computers like the one Gates and Allen used at Harvard.